Trade Pro Futures customers at no charge! Its hallmarks are speed, stability and simplicity. It is a favorite among high volume traders who demand the fastest possible execution and rock solid reliability. 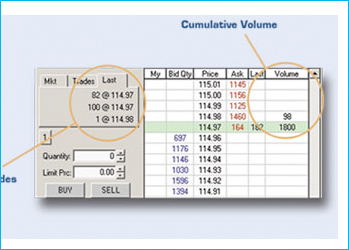 Traders are able to trade multiple accounts and exchanges including the CME, CBOT, NYMEX, EUREX and others from a single platform. 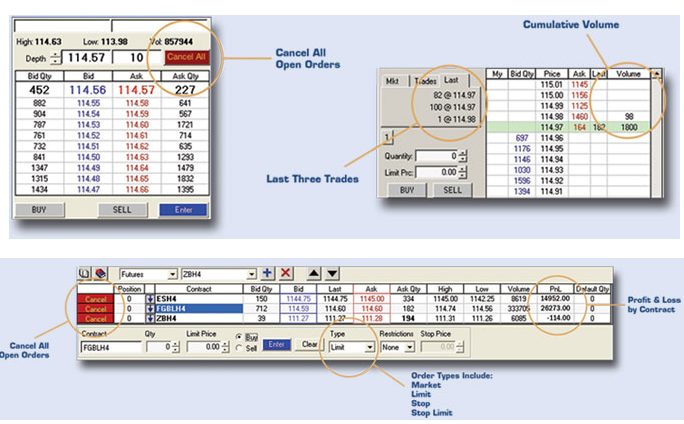 Real time demo using the most popular e-mini contracts from the CME Group, and the EUREX. 13 Minute Video on how to use the plaform. In depth manual on the use of the use of the active trader platform.